Pakistan’s popular Urdu language television channel Dunya TV on 17/07/2017 carried out a news report which reported that At least 158 Indian soldiers have been killed on Monday as China fired rockets across the border. Dunya News also posted images of the so-called cross border attack which killed 158 Indian Army Soldiers . Image posted were all genuine in nature but it seems Pakistani media has fallen for Internet Hoax which has gone viral in Social Media especially within Pakistani community but images circulated were not what it seemed and genuine pictures were fabricated for propaganda. 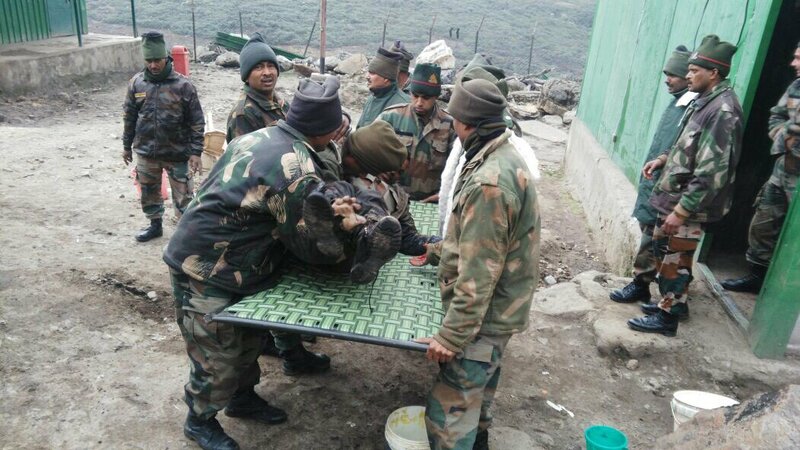 Images posted on Dunya TV Website and also shown in their tv report is of accident which happened in May this year when Indian Army suffered Single casualty when a mortar fired during a field firing exercise in Tawang in Arunachal Pradesh misfired and due to changed trajectory dropped on a convoy of army vehicles travelling at a distance. 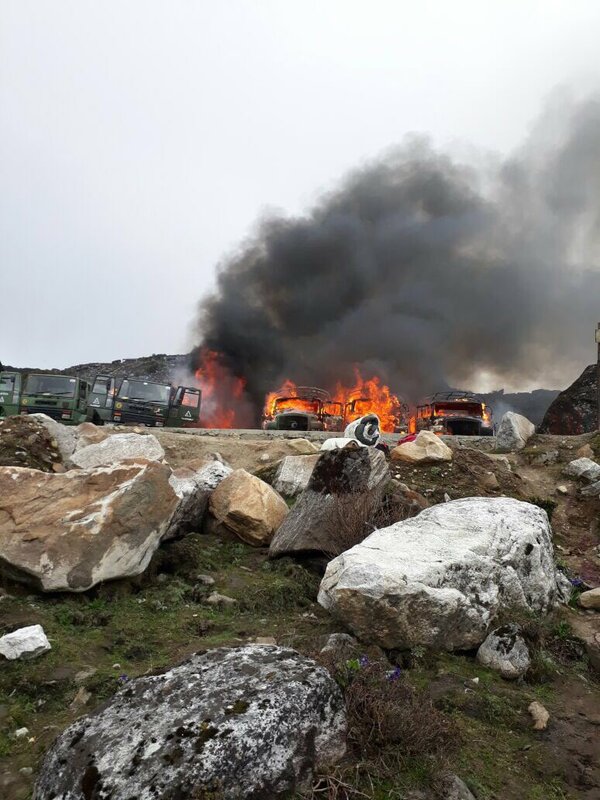 According to India media reports, four Army trucks were burnt and Signals equipment on board the trucks was completely destroyed. Till the time of this reporting, Dunya TV was still carrying this news report in their front landing page of their website. Note : IDRW.ORG is not responsible for the accuracy, completeness, suitability, or validity of any information on this article. All information is provided on an as-is basis. The information appearing in the article do not reflect the views of IDRW.ORG and IDRW.ORG does not assume any responsibility or liability for the same. an article is for information purposes only and not intended to constitute professional advice.